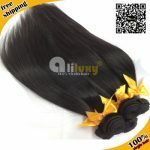 How to wholesale human hair from China is a big topic and I will divide it into several subjects. 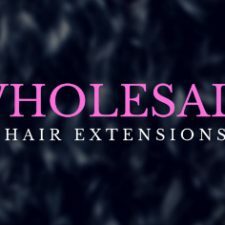 Today I’m going to talk about how to find a hair distributor and wholesale human hair from them. Firstly let’s be clear about one thing, 90% hair suppliers you can find through Google and AliExpress are distributors. Although they usually mark themselves FACTORIES, we all know that they’re not. It costs many many money to operate a hair factory. 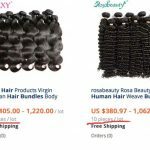 Only a few hair factories sell human hair online since they made the deal with their distributors not to compete with them by high competitively lower prices. If you’re a big hair retailer in US, you may contact the factory directly. 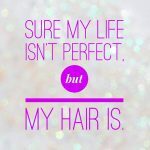 If not, I suggest you find a reliable hair distributor since they have more time and efforts to serve you than factory. You can find lots of hair suppliers through the above way. Most of them may label themselves FACTORIES. No matter what they label themselves, put all them into a list. In the list you may need to write some brief information, such as Company Name, Website Address, Location, Selling Products, Price Range, Contact Information, etc. Put all hair stores you find on AliExpress selling your required products into the distributors list you’ve made in the step 1. Step 3: Change the long messy distributor list into a short A-list. After step 1 and step 2, you’ve got many many hair suppliers in your list. Next you need to cut the list short. There’re two ways you can use to see how popular the detailed supplier is. 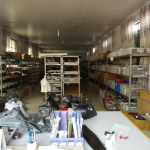 As for AliExpress, you can distinguish them easily by their store levels since AliExpress have leveled them by their successful orders and positive customer feedback. The higher the level is, the more popular the store is. As for hair suppliers with their own websites, you can use similarweb.com to check how many visitors they have per month. The result from similarweb.com is 90% accurate. Step 4: Contact all A-list hair suppliers for samples and order details. Keep in mind all the time that some hair suppliers you find may share a factory while one hair supplier may cooperate with many hair factories at the same time. Leave your own opinion and let’s start discussing! Should We Buy Cheap Human Hair Bundles? Hi, Doris. If you need hair suppliers, please leave your contact information here so they can reach you. I am trying to buy and sell hair please contact me. I need to know how to go about doing this. If you want to learn selling hair, you can read our Business Advice category. We share hair business tips and guides here. Also you can leave your contact information here so the hair suppliers can reach you. Here is my contract I would like the hair supply to contact me. Hi. I am starting a beauty supply in North Carolina. Looking for good, reliable and liget wholesale distributors. Please let me know. And it sheds and tangles terribly. Vendor does not want to work with me and provide new hair bundles. Ladies DO NOT purchase hair from him! True..I agree above words dear friend. Hi please email me I’m interested to see what you have. I am looking to buy hair to sell here in UK. But looking for suppliers. I came across your comment. Is it possible to get some samples please? We are wholesale dealers in India,kerala…can we talk?? Please email me the type of hair you have. Ogsnigerialimited @gmail.com. I am interested. Hi I’m very interested in business with you and would like to request some sample please contact me tibproducts@yahoo.com this is serious inquiry, thank you. Hi I am Angella I am looking for good quality weave and wigs honest wholesale suppliers can someone please contact me thanks. HI, please send your info. I would like to buy hair in bulk . Can you also send a price list as well . Hello there! I’m like others are needing to get samples. Looking for a place to call home (so to say) for my establishment. You can email me at herrunique2@yahoo.com for give me further instructions! 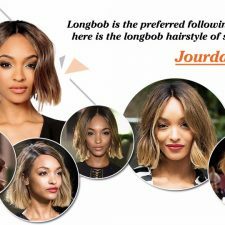 hello I’m interested in becoming a distributor of human and blended hair products or start my own website and PayPal account for sales. Also I want to have products placed in local beauty stores in my area for profits and we Make percentages. Please email me response because I love the hair and want to sample out some to start. Could I please have your email address? Thank you. Hello please email me at growinggreatness32@gmail.com. I am interested. Hi what is ur email? I’m interested in good quality affordable human hairs.I’m tired of buying fake hairs,pls do you ship to Nigeria? What is your email? I’m interested in selling hair. do you have a website? can you email me? hello, i’m interested in buying hair from you. Hi is there a way to get your email address, I’m interested in your samples. Hi kk just saw a post from you are you settle selling hair please let me know I’m very interested..
do you still over wholesale hair? I am looking to buy hair to sell here in USA, but looking for suppliers. I came across your comment. Is it possible to get some samples from you please. You can email me at keiera123@gmail.com, so we can talk business..
Hi im selling hair right now and im having a hard time finding good hair. Can u pls contact me. Hi Carletta, please leave your contact here @Kajal so she can reach you. Hi, KK I’m interested in selling hair please email me info. Hello are you selling hair still? We don’t sell hair. We only review and share quality hair and good hair vendors. But if you have questions about buying hair, you can send me emails. It’s my pleasure to help you. My email is blackhairclub87@gmail.com. Please leave your email here so Kajal and other hair suppliers can reach you. Hi KK! I am looking to begin selling quality, 100% human hair. Can you please email me: sykeszakeea@outlook.com ? Hi KK I would like samples how do I get them? Hi please email me at robyn0834@gmail.com from there I will provide you with my phone number. I need a hair supplier. Hi where do we reach you. Hi , have any of you who requested to be contacted been assisted as far? Please send me samples I’m looking to make huge business deal. Hi, I’m trying to get into the hair business and would like to know if you export to Ghana- West Africa. Also send me price list. Please leave your email here so the hair suppliers can reach you. Excellent article. I have a salon, ready to offer great quality hair. Very interested in wholesale. Tameka,can you contact me ? Hello,I’m a salon owner as well.Looking for a distributor.I have many clients that are looking for great quality hair and also friends.if you think you are able to help me please contact me ASAP! Any luck ladies on finding a good hair distributor? I Have a Wig boutique and In looking for some good quality hair! I want to open a weavemail and wig boutique and I do not know of any factory thato could distribute somega good hair quality for me. I am looking for some info on how to start selling extensions. I’m in South America & I’m looking for a good hair suppliers and it’s hard to find. Can anyone help me please? Yes, if you need help,please reach me at whatsapp+86 18573171453 .We support free sample before place bulk hair. Would you still recommend Loxx Hair? I’m a stylist also wanting to start distributing hair how can I obtain more info and receive samples? I’m trying to find a supplier myself. I’ve done a lot of research and Ive searched on Aliexpress.com. any valuable sources please email me at Nia1519@gmail.come. thanks for the tips, I am starting distribution in Jamaica and looking for supplier/s from china. I have had a lot of trouble trying to find a distributor. a lot of bad hair. thanks. HI if any one is interested in selling hair we can be your supplier for reasonable prices…. Hi Zama, how does one contact you? Hi, Im looking to start selling GOOD virgin hair and for a good price not a lot of people sell it where i am at and I know it will do well. I would like some samples if possible. Hey I’m in th he process of starting an online hair boutique and am in search of long-term vendors. Looking to see if any vendetta are willing to send samples of hair. PLEASE email me at your convenience. I look forward to partnership with an reliable suppler! Hey I’m in the process of starting an online hair boutique and am in search of long-term vendors. Looking to see if any vendors are willing to send samples of hair. PLEASE email me at your convenience. I look forward to partnership with an reliable suppler! I’m looking for a whole saler in order to but x-pression tye and dye at a good price have You got this item ? Excellent artice, just the information I need for my research. In search for excellent quality virgin hair. Looking for reliable hair vendors willing to send samples. Unless you have a company that requires you to have a wholesale license aren’t you really purchasing reduced retail rates? Is that why the factories won’t sell directly? I want to purchase directly from the source/factory. I have a wholesale license.